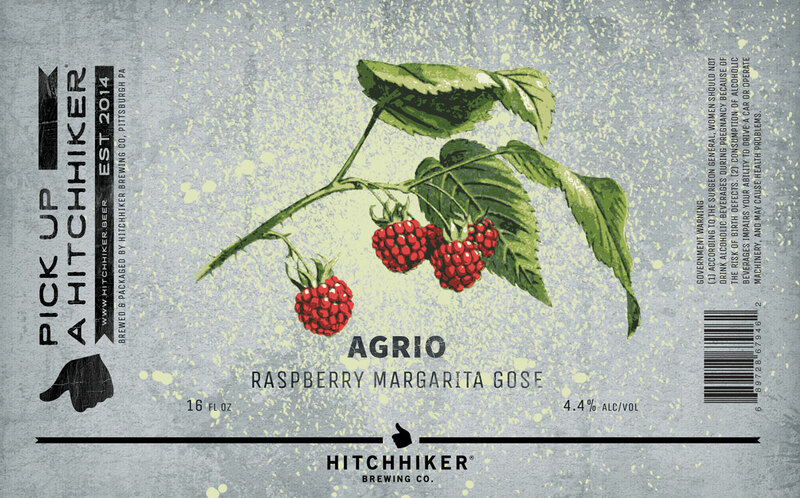 Agrio: Raspberry | Hitchhiker Brewing Co. Brewed with Wheat, Corriander, Sea Salt, Agave, and Lime Zest. Conditioned on Raspberries.